The actress with stunning beauty and huge acting skills, Afton Smith has given notable roles in many renowned American movies like Fried Green Tomatoes, Georg of the Jungle and Reality Bites. Though the blond beauty herself is an established actress in Hollywood, she is highly recognized as the wife of Brendan Fraser who is a Canadian-American actor of the famous movie The Mummy. The two separated and Afton demanded $900k per year from Brendan Fraser for the divorce deal. Let's learn more about this couple who went through a troubled marital relationship. Just stay with us. The story how the couple first met and began dating is still under the shadow, however, the actor couple reportedly dated for four years before getting married. Brendan and Afton got married in 1998 and their wedding was conducted at the garden of Bel Air Hotel in Los Angeles. After four years of their marriage, The couple was blessed with their first child, son Griffin Arthur Fraser, on 17 September 2002.After a couple of years of the birth of Griffin, they welcomed their second son Holden Fletcher Fraser. Again on 2 May 2006, Afton and Brendan got the chance to become a parent of a son, Leland Francis Fraser. Wow! What an amazing family. Did anyone of you ever think that this couple will ever split? Their marital relationship was going perfectly; however, it hardly lasted for a decade. The couple had already split up in 2007 but their divorce finalized only in 2009. Afton Smith asked for $900,000 per year to be paid but Brendan agreed to pay $300,000 annually in child support. By the time they got divorced, Brendan had the net worth of $45 million and it was a hefty alimony. None of the actors had the custody of the children. Thus, in February 2013, The Mummy actor filed a case in Connecticut, asking the court to decrease $50,000 monthly alimony as he was obliged to pay saying that he wasn't getting enough acting jobs to come up with the cash. In 2013, Afton filed back with more allegations claiming that Brendon was hiding his money and was still more than capable of continuing his alimony payments. Things got worse! Here's a glimpse of Brendan's controversial story. Have a look. However, Brendan firmly denied that he is hiding property from his ex-wife and children, insisting many 'medical issues' he came across. The Bedazzled star was reported to be suffering from a 'debilitating' back injury in 2012, which resulted in huge medical bills. Woo! This couple had a long controversial marital and after divorce life. We just wish them all the very best and we hope these controversies end soon in a proper manner. What is Brendan Fraser net worth? As of 2019, Brendan's net worth is $20 million. He was born on December 3, 1968, thus, at present, he is 50 years old. 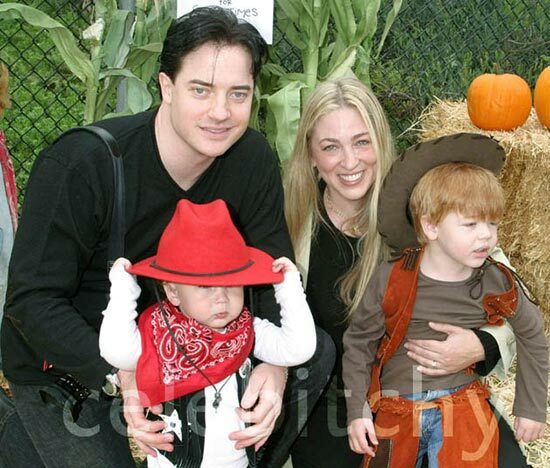 Who is Brendan Fraser's ex-wife? He was married to his wife Afton Smith. Is he dating a girlfriend at present? Currently, he is said to be single. There are no reports that claim about him dating a girlfriend. His ex-wife is also said to be single at present.